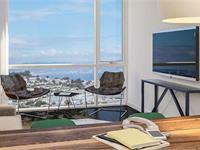 currently in preconstruction at 2290 3rd Street, San Francisco. The development is scheduled for completion in 2018. 2290 Third has a total of 71 units. This luxury residential project contains 71 homes on six floors, with ground floor commercial space, a 34-car parking garage, and 71 bicycle stalls. The property is located in the highly sought-after Dogpatch neighborhood, near the many restaurants, bakeries, chocolatiers and other boutique shops setting down roots in the area’s factories and warehouses. The property’s amenity rich location also includes convenient access to Mission Bay, AT&T Park, Pier 70, and the Golden State Warriors event arena.The project’s unique design features an attractive mix of bays and industrial materials that add to the architectural character of the prominent 3rd Street corridor. 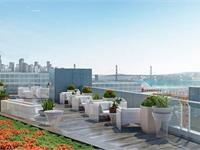 At the top of the building, a panoramic roof-top deck terrace overlooks the San Francisco Bay and includes fire pits, a dog run, and a movie screening area. Located directly on the Third Street Light Rail and two blocks from Caltrain’s 22nd Street Station, the Property provides unmatched transit access to San Francisco and Silicon Valley. Your inquiry will be delivered to the developer / builder of 2290 Third, who will send you more information about this development.